One of the oldest social media networks on the market, YouTube is synonymous with endless hours of watching funny cat, dog and baby videos, K-Pop music videos, and movie trailers. However, do you know that YouTube is also the second largest search engine out there, processing more than 3 billion of searches a month? Or that over 100 hours of video are uploaded every single minute? Here are some cool statistics on YouTube, taken from Mushroom Networks. You want to get started on Youtube but unsure about how to get started? Well, we have put together this Youtube marketing guide that will help you. We will jump straight into the second as most of you would already have got a Google account. Follow these steps to build your YouTube channel. 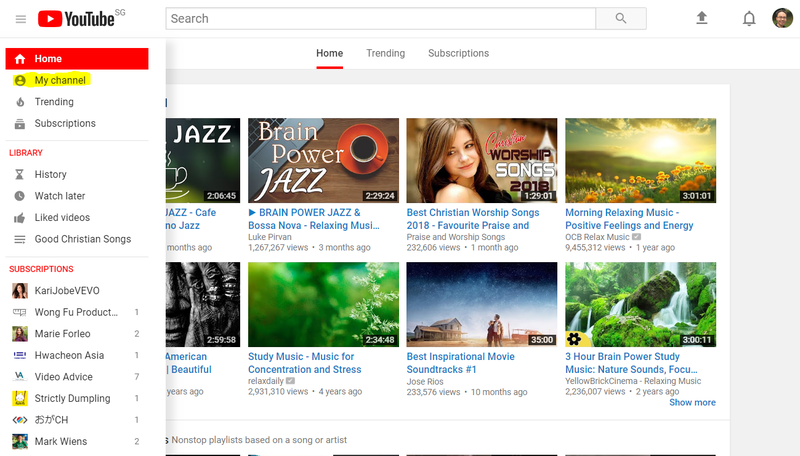 First, you need to click on “My Channel” on the left hand side of the YouTube bar. 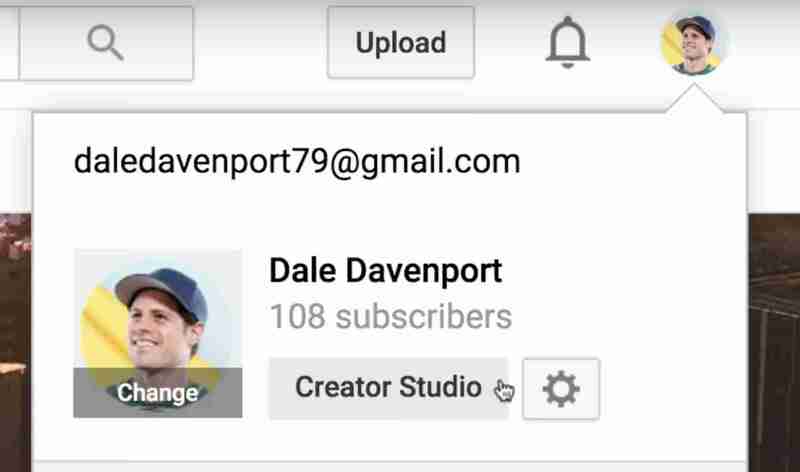 Once you are in here, you can begin by creating a new Brand Account for your YouTube Channel. 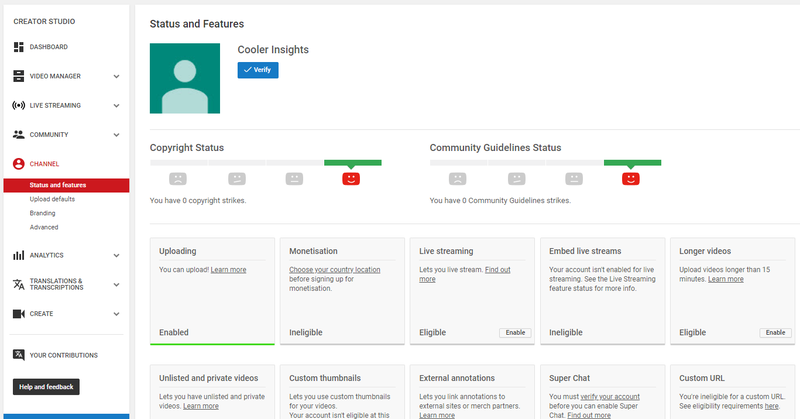 You can see that after you’ve done that, you will need to click on the channel itself and start to “Customize Channel” as shown here. After you’ve clicked on the Customize Channel, there are a couple of things here for you to do. Upload Channel Art: This is like your Facebook cover image, with a 2,560 x 1440 pixel image that will probably scale well across different sizes. 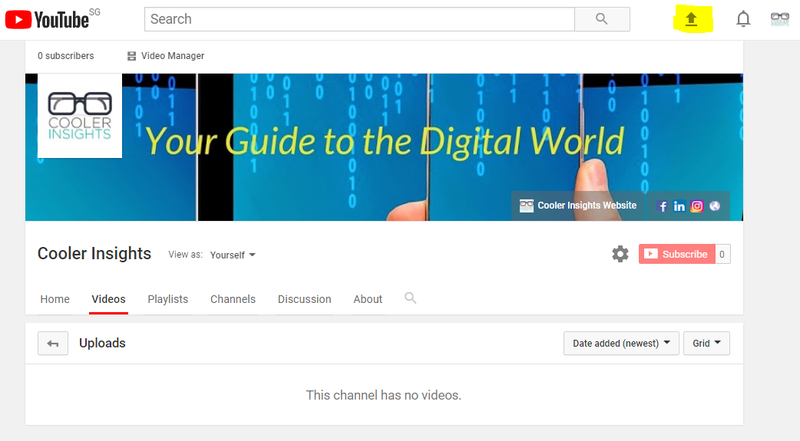 Add a Channel Description: Write a channel description to highlight what this channel is about, include your company email, and links to your company website as well as other social platforms in the About section. As this portion is searchable by search engines (don’t forget that YouTube belongs to Google), you’ll want to include the relevant keywords in your profile in order to rank well. Beyond the above, you may want to Verify your YouTube account. 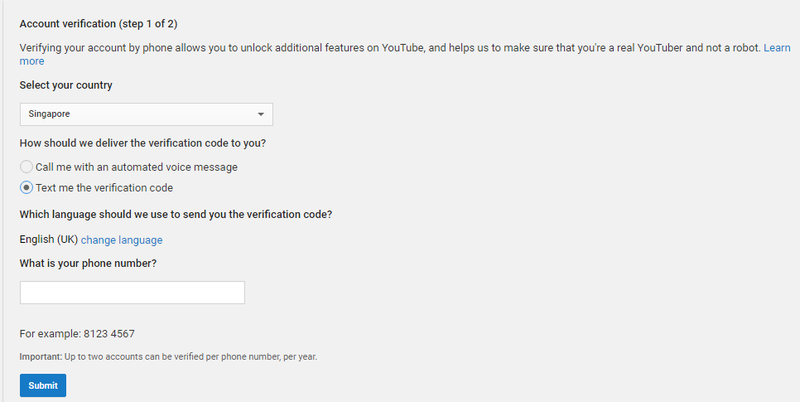 This will give you additional benefits and privileges on YouTube. To do so, click on the left screen and click on “Status and features” followed by the blue “Verify” button. This will then be followed by the next screen of verification for you to key in the verification code. When you’re done, you’ll be officially verified! All you need to do now is to upload that video which you’ll love to show the world, by clicking on the central icon as shown here. 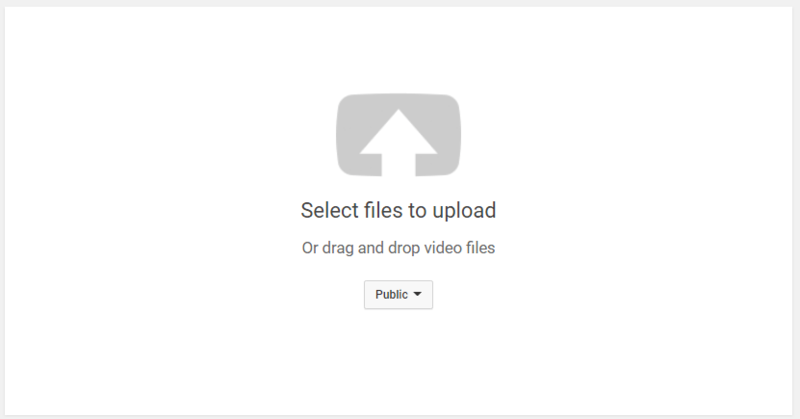 Once you do that, you’ll notice that your video is beginning to be uploaded and there are several sections which pop up. Now, DON’T CLICK PUBLISH. Well, not yet at least, until you sort out some of your descriptions and tags to make your video more searchable on YouTube. Title: Just like any other on-page SEO efforts, you will need to optimize your video’s title and descriptions so that they are aligned to your keywords for search, and is also clear and compelling. Keep your titles to around 60 characters long, and make it enticing. Description: As YouTube will only show about 100 characters (approximately 2 to 3 lines) of your video’s description, you should include your most important keywords and Call To Actions (CTAs) in the beginning of your description. Write copy that drives views and engagement. If you wish, you can include video transcripts here too – those which has a lot of keywords in particular will improve your SEO. If you wish, you may also include #hashtags, but these generally aren’t that important for YouTube video searches. Tags: These are a good way to highlight your main keywords, and they are also important as people tend to search for YouTube videos by tags. Once again, ensure that your most important keywords are crafted first, and include a good mix of common and long-tail keywords. 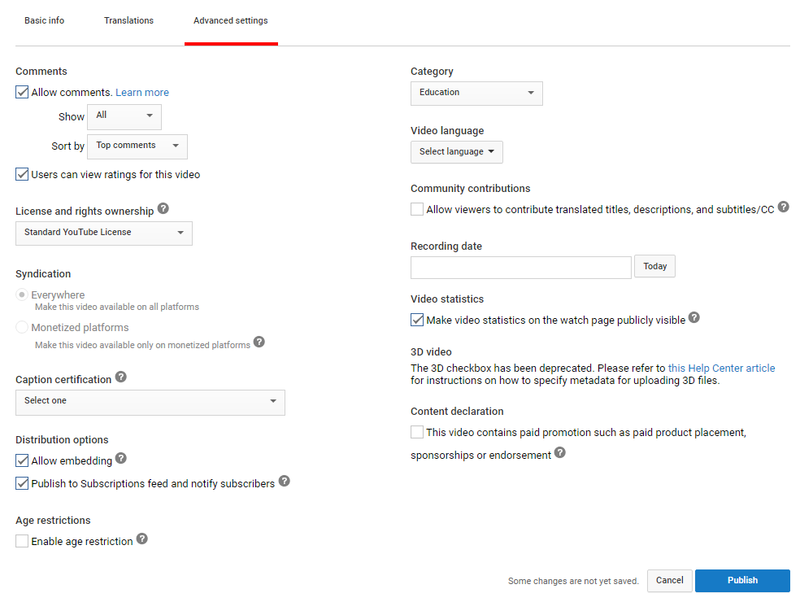 Category: These are under the more “Advanced Settings” and will help you to make your video more searchable. Thumbnail: Don’t underestimate the power of the video thumbnail. Apparently, research from YouTube suggests that videos which have high-quality custom thumbnails (images of at least 1280 x 720 pixels) work better. 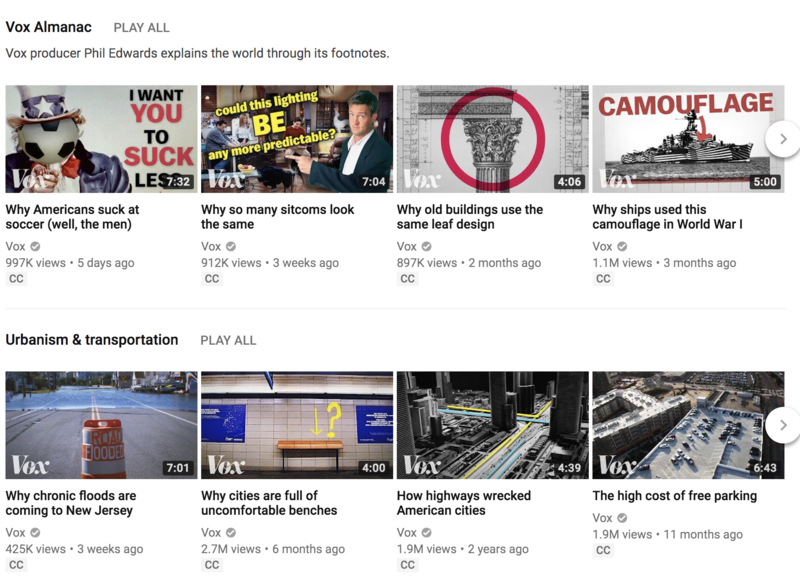 Playlists: This is a useful way to ensure that your videos are easily searched for, should people be looking for playlists of a similar topic. Beyond the above points, you may also wish to consider defining the various Advanced settings or customize it for your own video. In this case, I’ve changed the Category to “Education” since my video is somewhat educational. If you wish to make further enhancements to your video and improve how it looks, click on “Video Manager” and select the video you’ve just uploaded. Once you do that, it’ll bring you to a screen which looks like this. 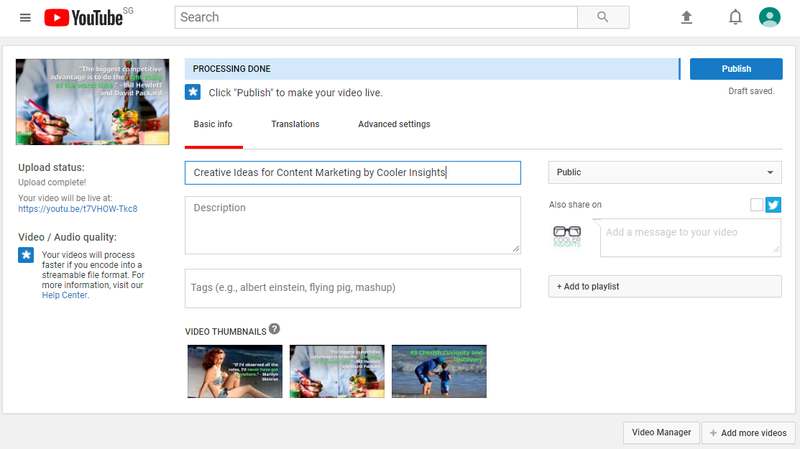 Here, you can do further customisations of your video BEFORE you publish it. Let us cycle through some of them here. The first would be the areas of Enhancements as shown in the screen here. You can do Quick Fixes such as your Fill Light, Contrast, Saturation, Colour Temperature, Slow Motion, Time Lapse and even Trim. Once you are happy with all your edits and changes to the video, you can publish it! Once it is out there, your video will be searchable online. OK, so you’ve published your video and it has started to garner some traction (hopefully so). Remember to promote your video by sharing it through your social media channels (Facebook, Twitter, LinkedIn, WhatsApp), and emailing your subscribers. 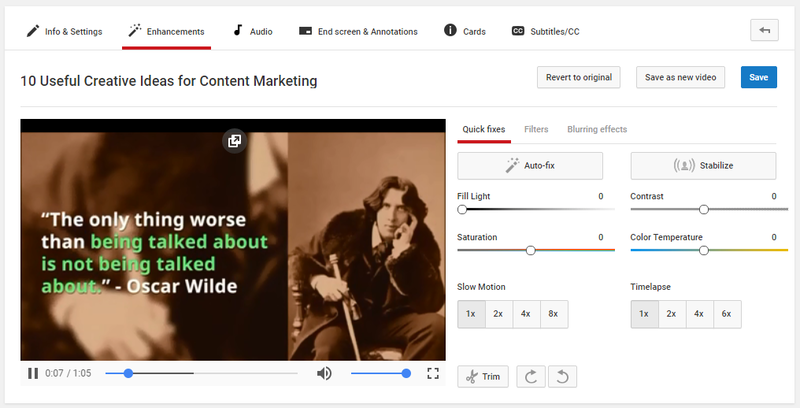 Beyond this, there are other nifty things you can do to add to your YouTube video. First, you can see from the screen below that you can “Add element” as shown. You can see that there are four elements below. 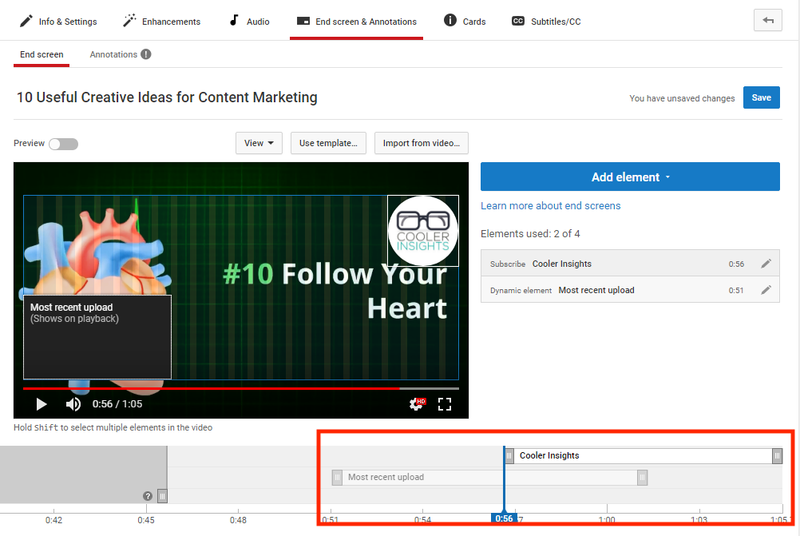 Unfortunately, the link to your website no longer works for the free version of YouTube, but you can still use the other functions to boost your YouTube video visibility. In this case, I’ve included both a playlist in the element, as well as a subscription to my channel. Notice that you can actually drag and decide on how long you want your element to appear, and where it’ll start and stop. As these are end screen elements, you can only do it after the first 20 seconds of the video, and within the last 20 seconds of your video. 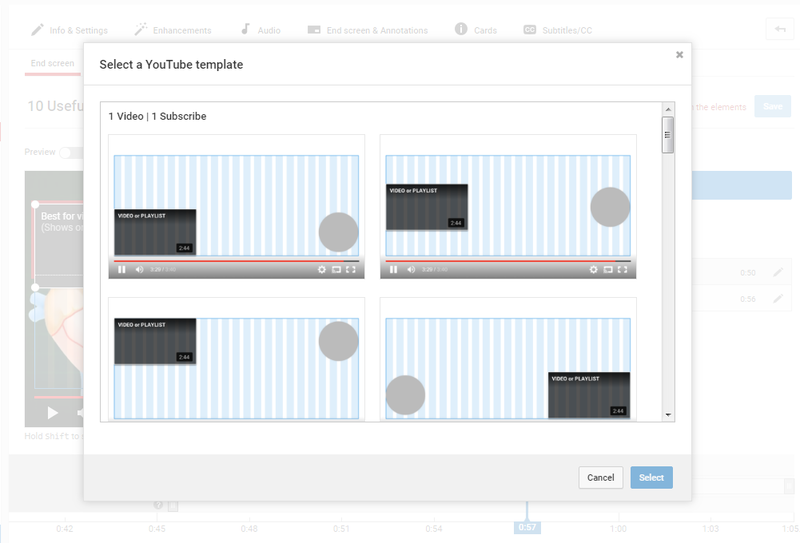 You can also choose Use template to select from different templates which YouTube has available for you. 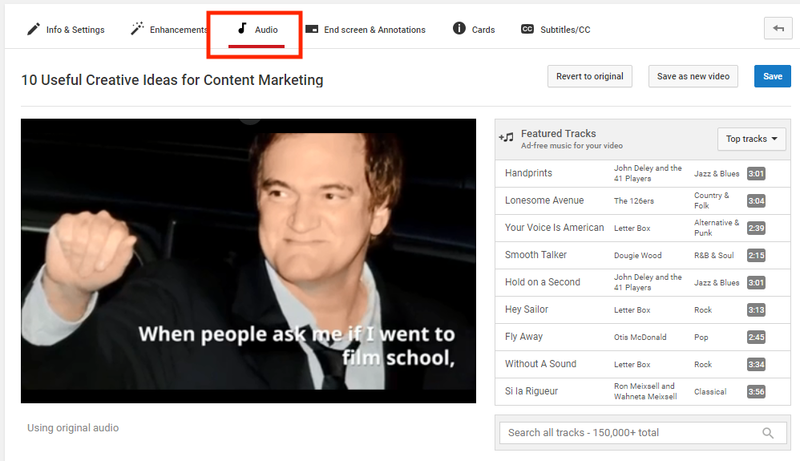 If your video is a silent one, or if you wish to change the audio of your video, you can actually tap on YouTube’s vast network of free (and paid) music and sound options. Just click on Audio below. The next thing you can add to your video are “Cards”. 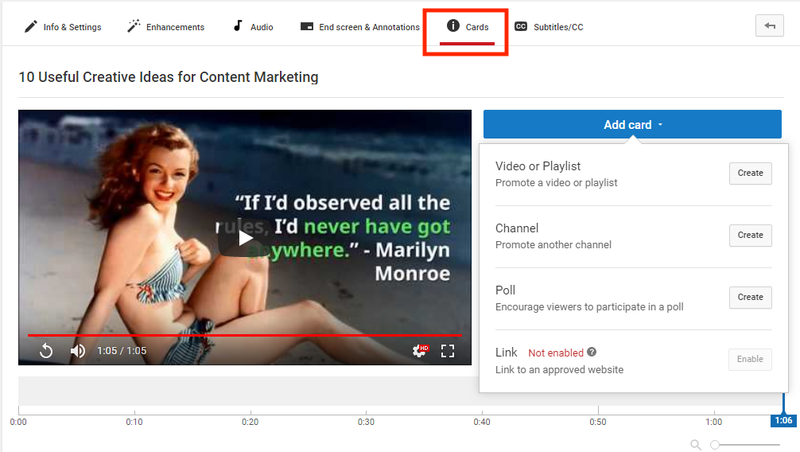 These help to add interactivity to your videos, and they can point viewers to a specific URL (from a list of eligible sites) and show customized images, titles, and calls to action, depending on the card type. 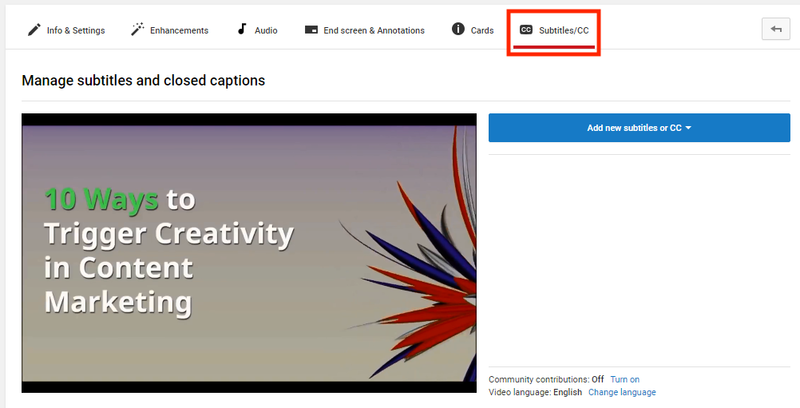 Last, but certainly not least (well, at least if you are into multi-language videos), you can consider including “Subtitles” or “Closed Captions (CC)” in your video. The screen will look something like this. 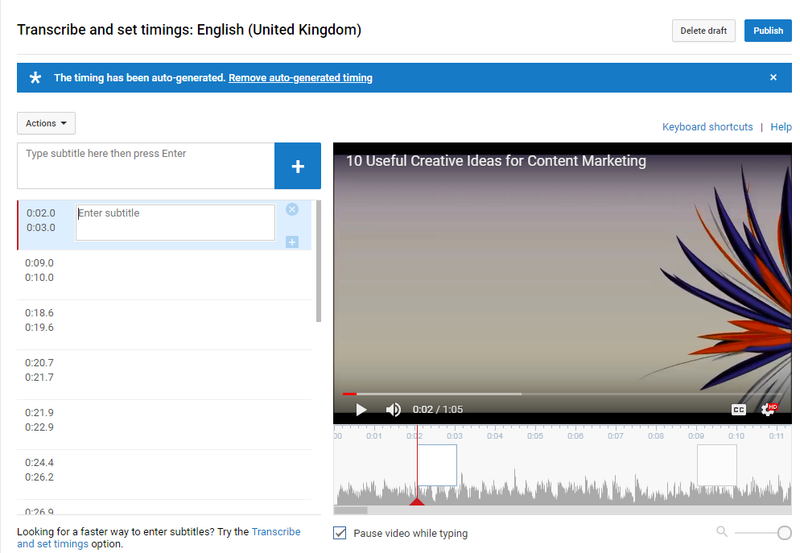 Subtitles and closed captions help viewers to navigate your videos, plus improve your opportunities for search as they allow you to highlight important keywords. You can add them by uploading a supported text transcript or timed subtitles file. If you don’t have a YouTube channel yet, perhaps it’s about time you created one. YouTube accounts for two-thirds of online videos watched by millennials. In fact, there are more than 400 hours of video uploaded to YouTube every minute, and viewers watch more than 5 billion videos every day. If you think all these viewers are teens and young adults, think again. According to Artillery Marketing, 1.5 million businesses search YouTube on a daily basis, making it the second most visited destination for business-related searches after Google. In addition, 78% of Singaporeans use Youtube to watch videos over other platforms. 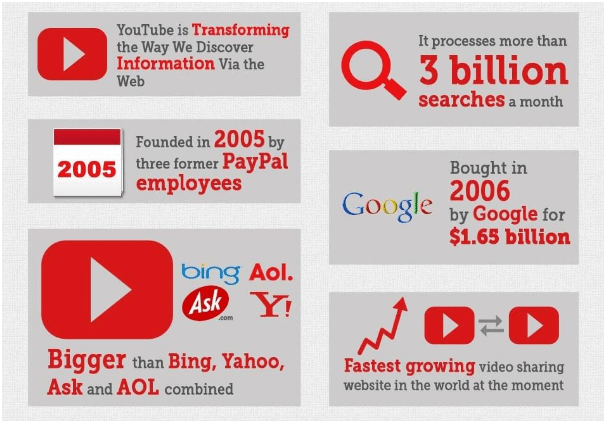 The bottomline is this: YouTube is one of the best channels for businesses. That said—how do you create a YouTube channel that gets lots of subscribers, likes and comments? What are the best practices you need to know? 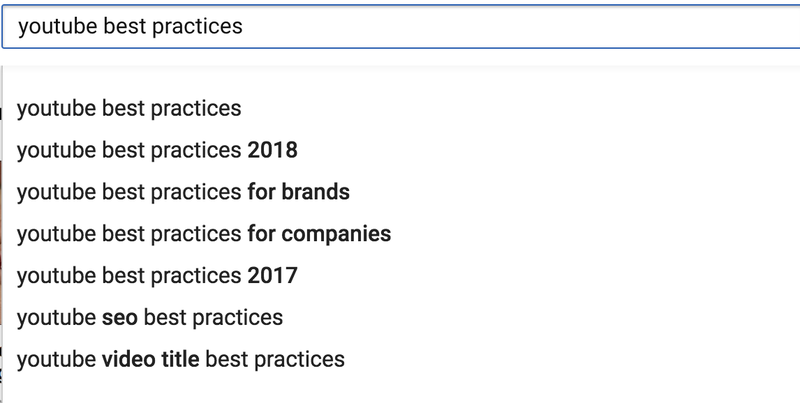 In this blog post, we’ve compiled the best practices of top businesses and influencers on YouTube. Posting at random is never a good idea. The content you create should be aligned with your business goals and target audience. What do you want to achieve with your YouTube channel? What would success on YouTube help your company to achieve? Who are the target audiences you want to reach? What value will your video content provide to them? How will you connect with your audience? Will you be smart, funny or witty? What kind of videos do you want to post (i.e. vlogs, how-to videos, travel videos)? If you’re a lifestyle blogger trying to reach young women, you may wish to try to be fun and authentic. 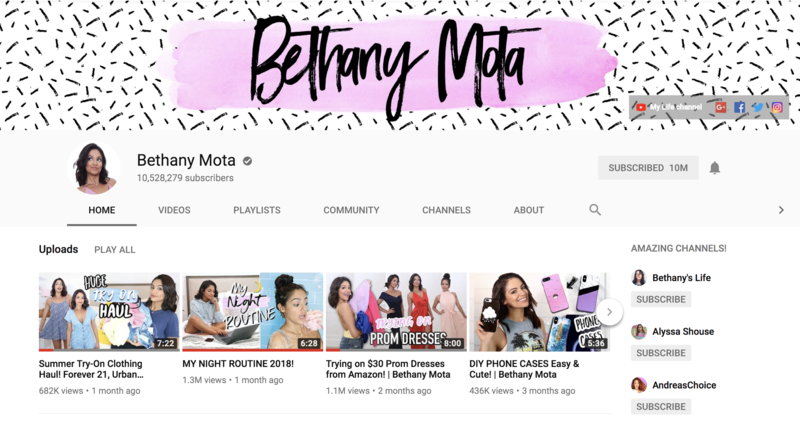 Young girls love relatable fashion gurus, which is why influencers like Bethany Mota are very popular for this age group. The Verge is for an older audience who love tech, science, art and culture. As a result, they create product reviews which feature expert opinions and insightful feedback. When you’re starting from the bottom, the fastest way to the top is through optimizing your videos and improving their discoverability on search engines. 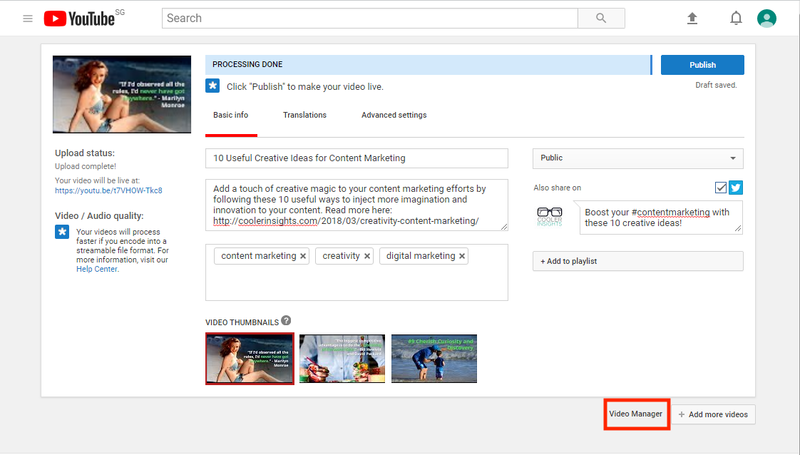 Just type the keywords that are associated with your video or channel in the search bar. Really, it’s this easy. 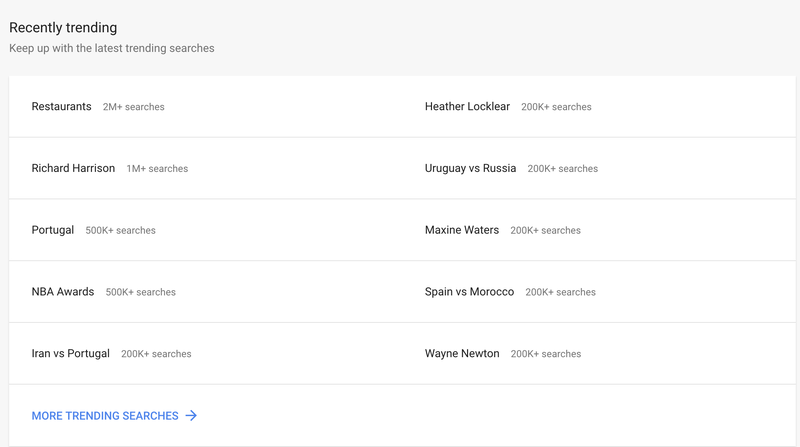 The search results feature the most searched phrases for that keyword. Simply use these words in the tags, titles and descriptions of your video. Creating content around trending topics ensures that you’re creating something that a lot of people want. 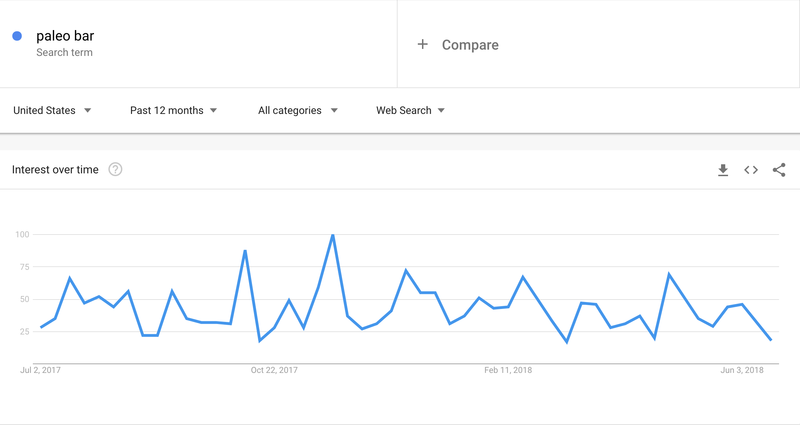 One of the best tools that can help you discover trends is Google Trends. To get started, head over to the site. The trending topics are found on the front page. You can also enter a search term to see how popular the topic is over time and a map of the top countries interested in that term. Results can be filtered based on date, location, categories and Web Search (i.e. Image search, Youtube search etc). Ahrefs is my favorite tool for keyword research. To get started, create an account. You can start a 7-day trial here. Hover to the Keywords Explorer section and place your keyword in the search bar. The results will reveal keyword difficulty, search volume, clicks, price per click, global volume and clicks per search. It’s ideal to stick to keywords with low keyword difficulty. In the image below, if you want to rank for the keyword “paleo bars”, you’ll need backlinks from only 11 sites to rank on the first page of Google. You can also hover to the Keywords Ideas section to get keyword ideas that are related to your search. 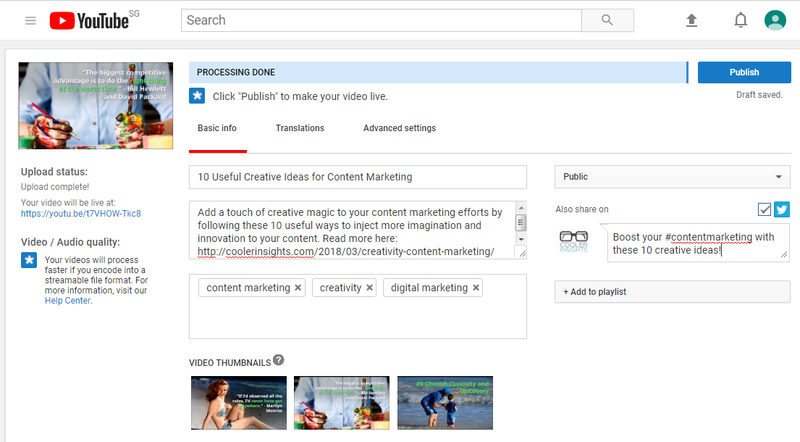 Now that you have a list of keywords, you’re ready to place them in your video’s title and description. Its best to be keyword-rich, but don’t make it seem unnatural or spammy. Use at least one main keyword in both the title and description. If the keyword is in the playlist title, that’s even better! For example, if you want to rank for the word “budget smartphone” place it in the title and description of your video. That said—should you only write keywords in the title? Not exactly! This formula ensures that you rank for a broad term, main keyword and the product name. Another tip is to highlight what makes the video unique or interesting and place it on the title. Don’t forget to include links to your website, product pages, ebooks etc., if they’re related to the video. Likewise, if there are segments in the video that viewers might want to go back too, you should place a timestamp in your description to help them get there right away. Descriptions have a 5000-character limit. It doesn’t hurt to write a long or short description, so long as you focus on providing viewers with all the information they’ll need. Creating shareable content is easy, but creating shareable content is easier said than done. You need to generate interesting ideas, fill an unmet need, or make people stop and stare. Focus on relevance – Your content has to be relevant to your target audience. Tap into a cultural phenomenon – There’s a reason why pop culture icons or mainstream events are clickbaity (i.e. Beyonce, World Cup etc.). Cultural phenomenons draw us in and incite our curiosity. Conversational or funny – You don’t need to make people laugh out loud. You can use casual language or maintain a conversational tone to keep people interested in your videos. No one wants to listen to an unemotional or boring vlogger. Surprise people – Everyone loves surprises. We want to watch videos of the unexpected (i.e. unconventional beliefs, controversial opinions, interesting facts) because they thwart our expectations. So, think of how you’ll offer something “new,” “fresh,” or “unique,” to your audience. Content needs to appeal to your target demographic. Are you targeting pregnant women? College students? Musicians? Of course, you’ll need to look at the topics in your niche to find video ideas that appeal to your target audiences. Do you post videos at random? Studies show that this isn’t a good idea. Jeff Bullas’ team tried YouTube Marketing for about 1 year. They lacked consistency and garnered about 16 to 30 views per day. 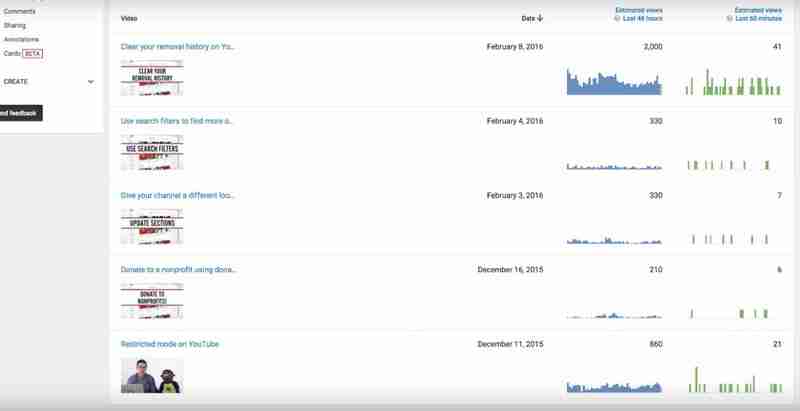 Once they committed to posting about 2 to 3 videos per week, they got a whopping 1,000 daily views within 1 month! Another great example of consistency is PewDiePie. He uploads 1 to 2 videos everyday for the past six years, even when he’s sick or traveling. 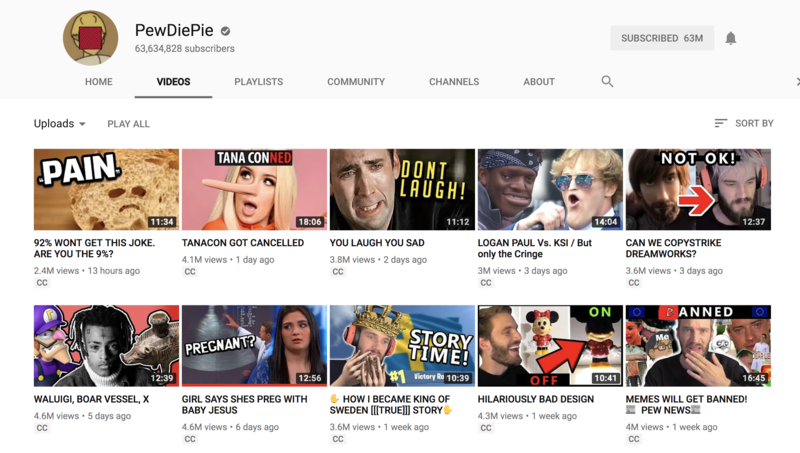 Thanks to his efforts, he has amassed an astounding 63 million subscribers and 18 billion views (as of June 2018). It’s hard to commit to creating X number of videos per week/day, but lack of consistency won’t get you anywhere. You need to plan and commit to a schedule to grow your viewership fast. Will your video be part of a long series of episodes? If so, add “Episode 1” “Episode 2,” and so on at the title. This lets viewers find the next episodes in the “Up Next” or recommended videos section of the video. 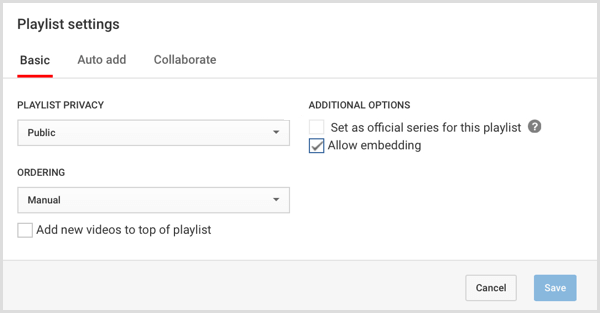 You should also go to the “Playlist Settings” section and click “Set as official series for this playlist,” to create playlists designed for your video series. This lets viewers watch one episode and the next episode will automatically play itself. How do you become popular fast? One of the best practices for brands in the YouTube community is to work with creators in your niche to attract your target audience. For example, HP’s #BendTheRules campaign featured a team of YouTube stars who worked as set designers, photographers, stylists and more—in Meghan Trainor’s “Lips are Movin” music video. Together these stars had a combined audience of almost 30 million subscribers. The results? 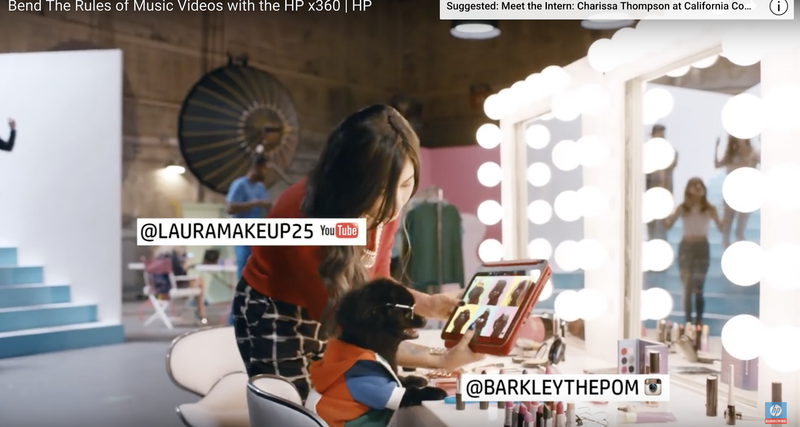 Within 24 hours of the video’s release, HP reached 78 percent of its target audience (teenagers and young adults), its channel visitors increased by 600 percent, and the number of subscribers also increased by 48! Of course, you might not have the capital to create a star-studded music video, but the point here is to work with other YouTube creators. Build connections with YouTubers in your industry and feature them in a video interview on your channel. This lets you expand your viewership and improve your discoverability. How do you become successful on YouTube? Is it all about creating interesting content and optimizing your video? Well… not exactly. The most successful creators don’t just have a large number of views, but have great engagement too. Fans love to leave comments on the videos, promote it on other social media sites and so on. That said—how do you get engaged fans? The answer is interaction. Want to get more likes, comments or subscribers? Ask and you shall receive! In fact, a study found that asking users to retweet gave it 12x higher retweet rates than those that don’t. Of course, the results will depend on the quality of your video and your personality, but you can get better results just by asking. No idea what yourvideo fans would love? Ask them! In the show, Honest Trailers on Screen Junkies, the channel owners asked fans for video suggestions, and made content based on their requests on a regular basis. Reply or like comments from your fans, to make them feel appreciated. Emily from sharewear does an amazing job of liking comments from fans. Customers can get really creative about the brands they love. GoPro takes advantage of this in their YouTube channel and posts the best UGC as selections for their “GoPro Awards,” which have amassed thousands of views. Creating a great YouTube channel is a lot harder than it looks. Once you have a plan—you’ll need to research keywords, optimize your description and title. You’ll also need to regularly interact with viewers, create shareable content and work with other Youtubers. Don’t forget that consistency is key to your YouTube success. It’s a lot to take in, but you can always return to this post, to find out the best practices you need to remember. Got any tips for aspiring YouTubers? Let us know in the comments below. Looking to grow your subscribers on your YouTube channel? Want to create videos with thousands and millions of views? The key to building your channel isn’t creating videos at random. Instead, you need to understand the algorithm. That said—how do you interpret the various reports and graphs on YouTube? Where do you find the metrics you need? 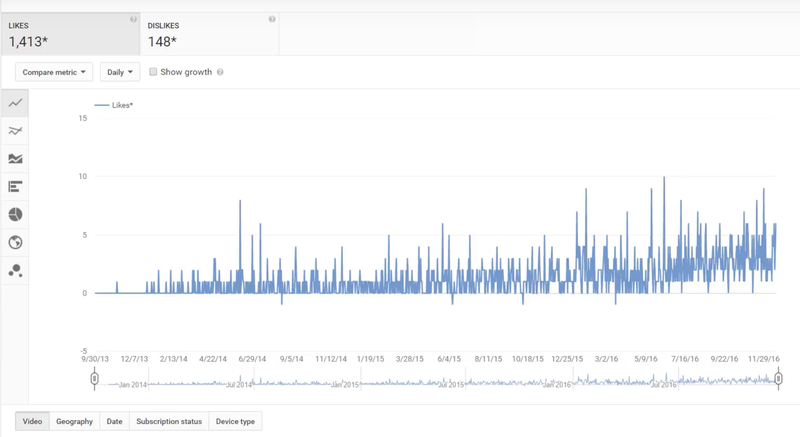 In this blog post, we’ll explain the basics of YouTube analytics, and go through the important steps you need to master your game. To get started, select your channel icon and click Creator studio. At the left sidebar, you’ll find an overview of the different types of analytics data available on the platform. The Overview Report provides you with an overall look at your channel’s performance. It features basic performance metrics like watch time, average view duration, views, likes and so on. Performance metrics – Displays your channel videos’ watch time, views, average view duration and earnings. Interaction metrics – Summarizes your channel’s interaction data such as comments, likes, dislikes, shares and favourites. 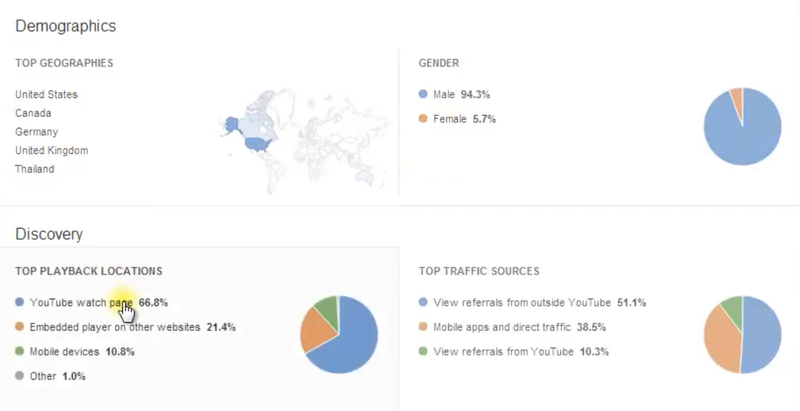 Demographics – Helps you to determine the gender and location of your viewers. Tip: Location is an important metric for local businesses. YouTube is available in 88 countries, and roughly four out of five views are from outside the US. 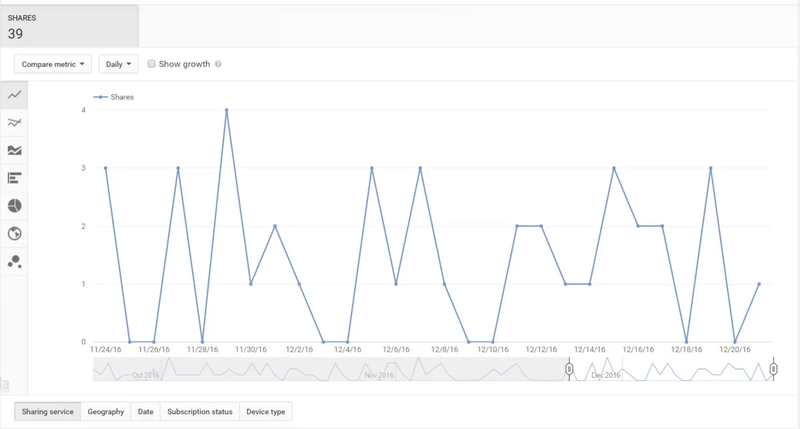 So, these charts let you know whether your videos are reaching their intended audience. Discovery – Provides information on the top playback locations and traffic sources based on watch time. The realtime report provides useful data such as the number of views you get every few minutes. It has a chart that represents your views for the last 48 hours and the last 60 minutes. Tip: Watch out for spikes in views. This suggests that a viewer shared your video on a social media site, Reddit threads or their own networks. A good tip is to use this opportunity to engage with these threads or media publications where your traffic is coming from to grow your views. Realtime reports also provide estimated views of your videos. As you scroll down, you’ll also be able to find estimated views for your last 25 published videos. This lets you compare the performance of your latest videos. By doing so, you can see which videos do better than others, and focus your efforts on creating more of the better performing video types. Want to find the estimated view count of your older videos? Simply find it through the search bar. If your channel has enabled Adsense, you are able to view your earnings at the revenue report tab. There are two types of reports you can find—estimated earnings and ad rates. 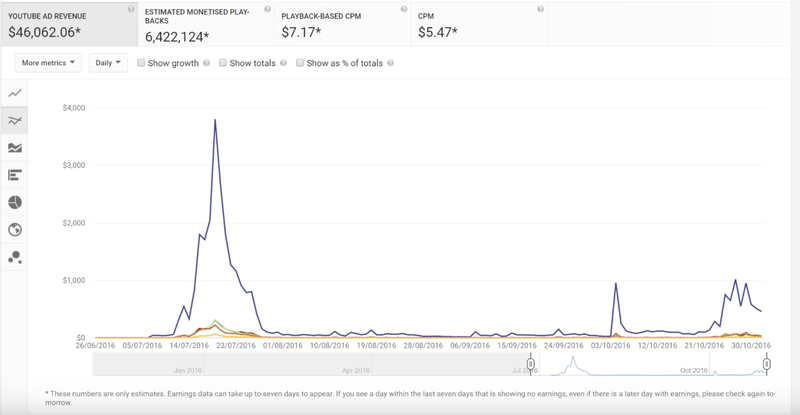 The Estimated Earning Reports displays your estimated revenue from YouTube Red, ads, partner content and so on. Total Estimated Revenue – The total estimated revenue from all your videos and Google-sold advertising sources, based on your selected date range and location. Ad Earnings – The total estimated revenue from Google-advertising sources based on your selected date range and location. 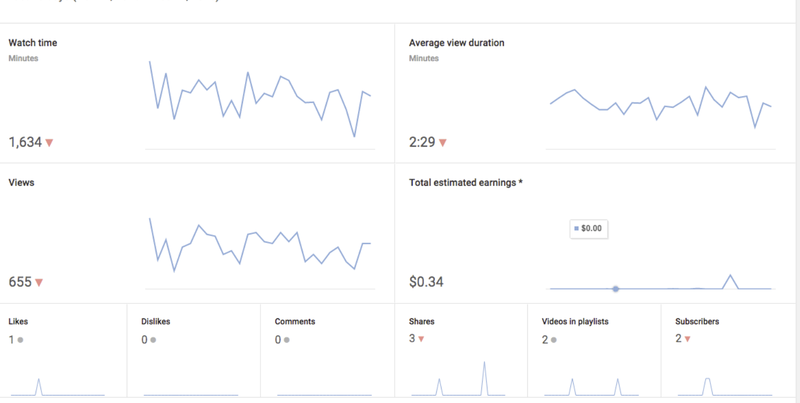 You can also see the estimated earnings from individual videos at the bottom of the page. Tip: These are “estimated earnings” not actual earnings. The estimated revenue may not be identical to the actual payment you receive. Ad rates summarize the performance of different ads, ad impressions, monetized playbacks and Playbacks-based cost-per mille (the estimated average gross revenue per thousand playbacks where one or more ads are shown). More importantly, it features the amount you’ll be paid. You’ll find a chart that features the dates you made money. Below that you’ll find the performance of different types of ads based on geographic location, ad type and many more. Tip: Check out Neil Patel’s article on How to Use YouTube Ads to Grow Your Business to learn more about YouTube ad revenue. Watch time reports display how long viewers watched your videos. They are sorted out according to the different videos that you have on your channel. Watch time– The amount of time viewers spent watching the video. This helps you determine the videos they like to watch. Views – The number of views for your videos or channel. Average view duration – The estimated average minutes per view for the selected video, date range, region and others. Impressions click-through rate (CTR) – How often viewers watched videos after viewing the thumbnail. Tip: Analytics is updated once a day, and the information may be delayed for up to 72 hours. Tip: You can increase watch time by creating attention-grabbing thumbnails, making announcements and providing freebies, studying analytics and creating shorter videos. The demographic report shows you the profile of your viewers. You can visualize them in terms of basic attributes such as age, gender, device, geography and others. You can also determine the location of your viewers. Some businesses may need to monitor viewership from certain locations because their products or services are limited to certain areas. 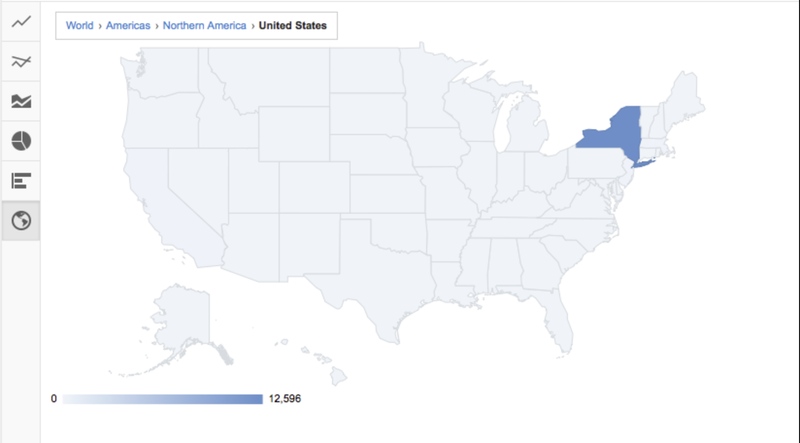 Tip: Determine geographic trends when watching your videos. Are your video trends popular with fans in the UK? If you’re a local business, you can make location-specific videos that local audiences will love. You can use the data to determine the keywords that people use to find your content. You can also use it to determine if following links from social media sites are effective at attracting audiences. Tip: Traffic sources, such as “YouTube Search” will have a higher CTR (a ratio showing how often people who see your ad end up clicking it) than sources such as “Home” because people who use YouTube search to find your videos tend to have a higher intent to watch specific topic videos than those who visit your channel. This report provides information on the device and operating systems that viewers use. This provides you with an insight on viewers’ experiences. Tip: comScore found that mobile devices now account for 70% of all time spent on YouTube by adults in the US, so don’t forget to optimize your videos for mobile. This determines how well your video keeps its audience. The longer you can retain your audiences, the better your videos will have performed. You do want your audiences to watch the whole video rather than a small portion. Use this to look for trends among videos with high audience retention rates or low audience retention rates. For example, you may find that viewers stick around longer for video blogs (vlogs), as compared to Q&A videos, so you might want to create more vlogs in the future. These results also features the audience retention curve which lets you determine the parts of the video with high popularity. Usually, there are a lot of viewers at the beginning of the video, but a significant number leaves after the first 15 seconds. Average view duration for all videos on your channel. Top videos or channels listed by watch time. 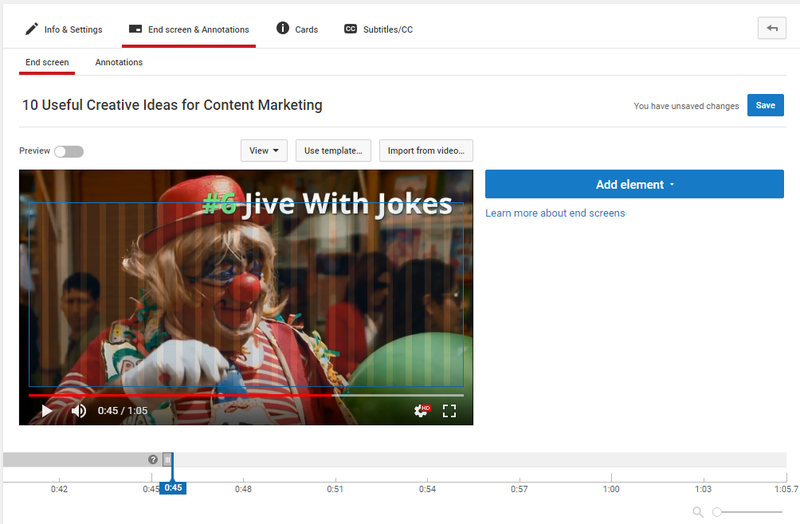 Audience retention data for a specific video for different timeframes – This lets you compare your video’s retention to YouTube videos of the same length. Relative audience retention for a video compared to the YouTube average for similar videos – This lets you compare your video’s retention to similar videos. 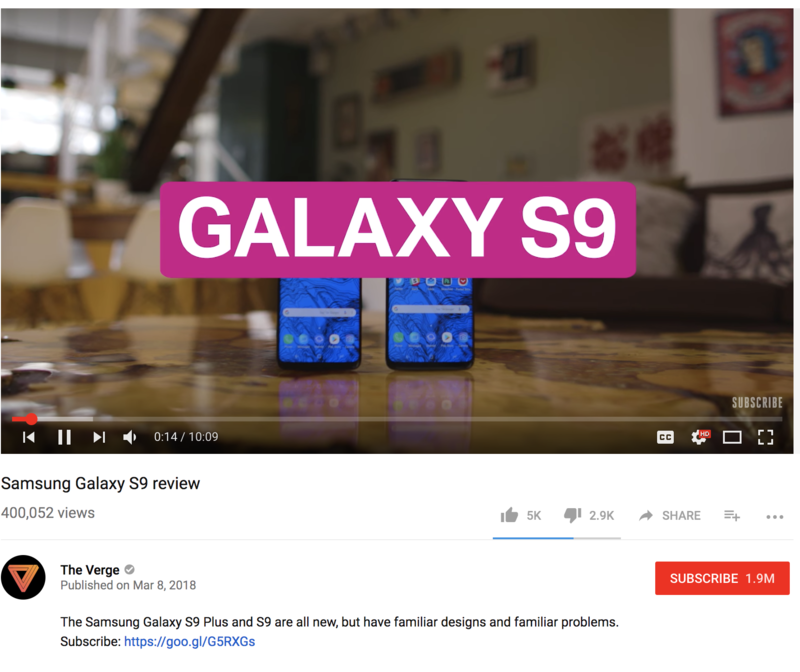 Skippable video ads – Views for ads that are automatically played before the video starts. Display ads – Views in which the user watched the video from a display ad. Retention helps you understand what you need to do in order to attract audiences and make them stay. Maybe you need a stronger intro to get viewers to stick around. Perhaps you only begin to talk about the purpose of the video after a long and irrelevant intro. This may frustrate viewers who do not have the patience to stick around long enough. Tip: Give your viewers something to look forward to. This could be a tip, a tutorial, a new product reveal etc. Say this at the beginning of the video and keep reminding them about it to encourage them to keep tuning in. The playback location report displays the pages or sites where your videos were played. You can determine the number of views generated directly from YouTube or embedded videos on external websites. If your video was watched via YouTube, you can find the views directly from the channel’s page, YouTube Red and so on. 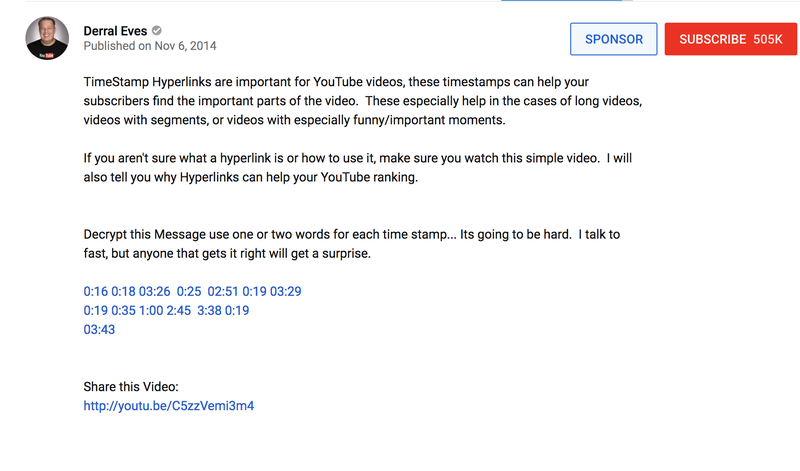 YouTube Watch Page – How often viewers watched your video from the video’s specific URL on YouTube. 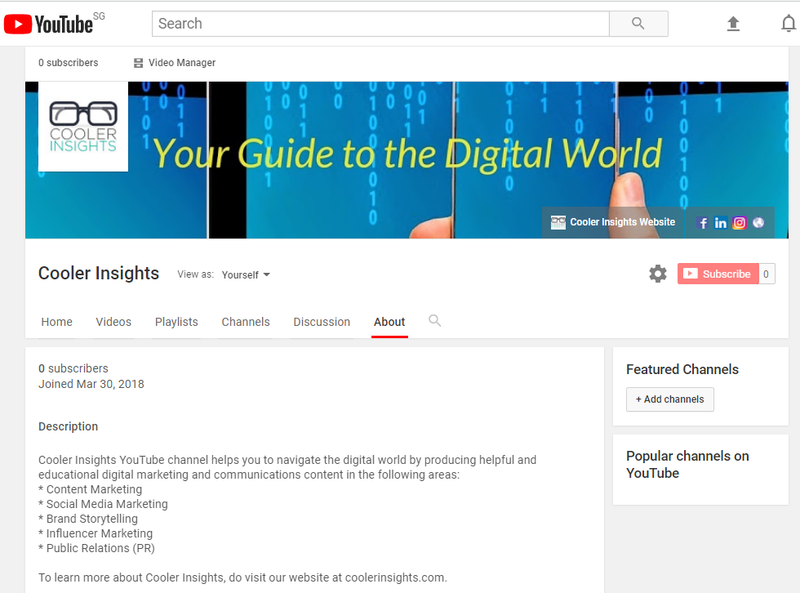 YouTube Channel Page – Views directly from a channel page. Embedded in External Websites and Apps – Views from watching your videos from external websites or apps. 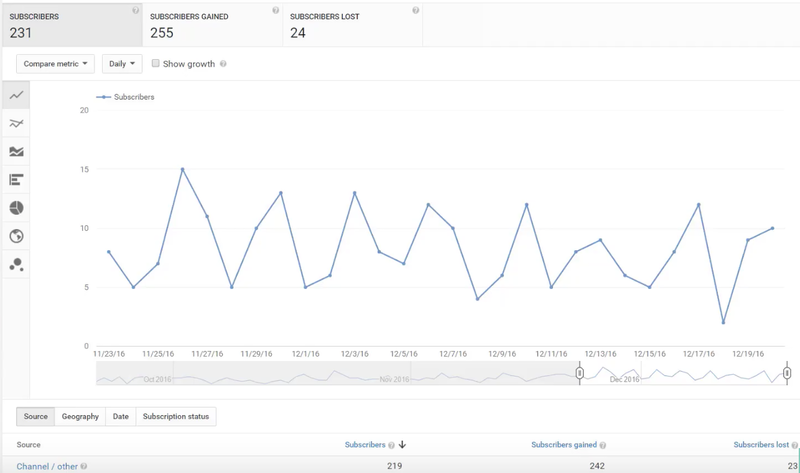 The subscribers report features the viewers you’ve gained and lost over time, across different locations, videos and dates. This lets you know the videos that nets you the most number of subscribers, so you can effectively build your following. You can also find the demographic data of your subscribers such as their geography, status and date of their subscription. 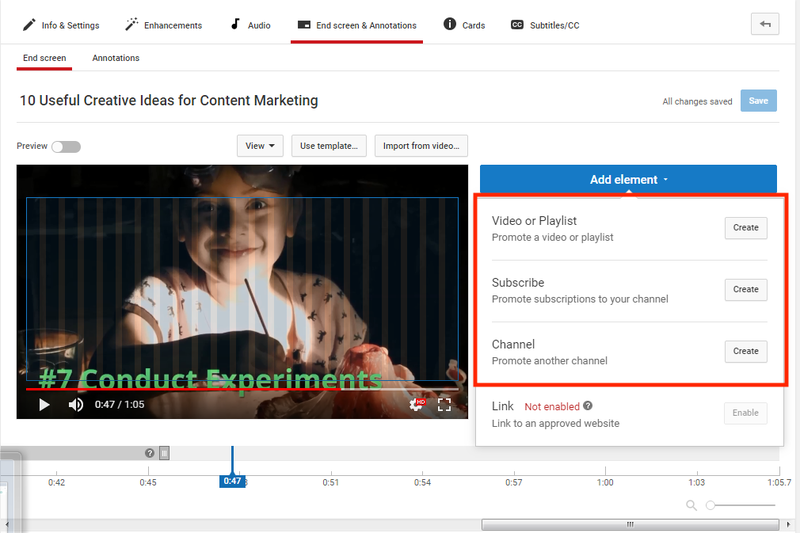 Tip: You can increase your subscribers by creating a channel trailer and including annotations that allow people to easily subscribe to your videos. The name speaks for itself, but its worth elaborating a little on this here. The likes and dislikes report displays the number of likes and dislikes of your videos over time. Don’t feel too bad if you don’t have a high amount of likes for a video. You might be getting more comments and shares, and that could be more valuable for your purposes. Tip: Also don’t freak out if you get a lot of dislikes. After all, it’s the internet. There are trolls and some people just won’t like you, but chances are, you won’t get a ton of hate out of the blue. Understanding which videos are being added to playlists is pretty useful. For example, if you discover that your haul or unboxing videos are frequently featured on people’s playlists, you could take it as a hint to make more. Tip: If you have a video series, you should put them all in a playlist. This lets you know the number of playbacks and average time viewers watched your video series. The Comments Report aggregates comments on your videos. This helps you understand the videos which generate more conversations and provide insights on what people think about them. You can also determine your comments per location in the geography section. Tip: To get more comments, simply remind your viewers to leave a comment at the end of the video. 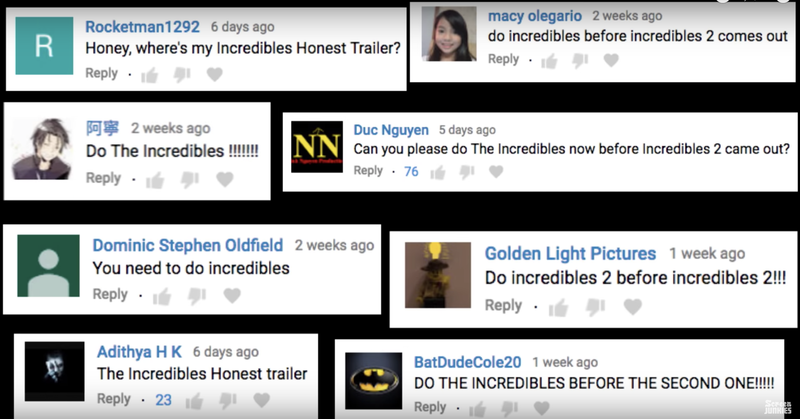 Don’t forget to reply to these comments to encourage viewers to engage. 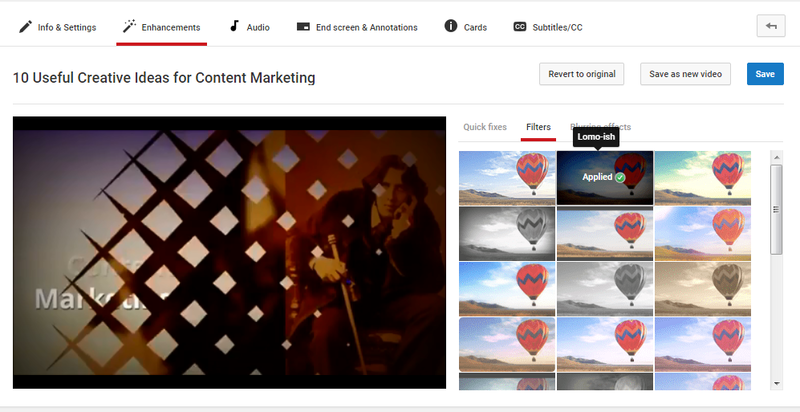 The Sharing Report helps you determine the different ways your videos gain exposure and views. You can find out the top social platforms for your videos, as well as which videos are going viral. If you have active accounts on various social media networks like Facebook, Twitter, LinkedIn or reddit, you can find out how effective these different channels are at promoting your content. Tip: Reddit is a community with quality viewers & subscribers that may share your videos. As long as you know the right tips and tricks, you can effectively promote your channel and gain a lot of shares along the way. As you’ve realised by now, there are a lot of metrics that’ll help you understand the performance of your YouTube channel. 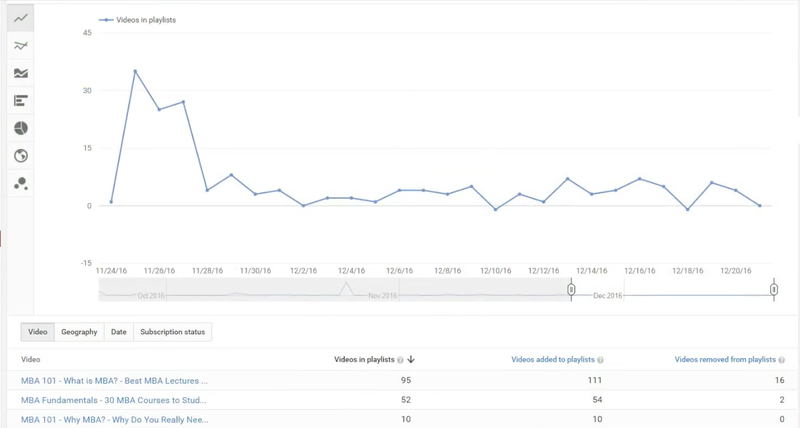 From your revenue report, interaction reports, and watch time reports to many others – the sky for YouTube analytics is almost the limit. The good news is you can get a simple summary of everything through your overview report. It’s a lot to take in, but you can always return to this post to understand the metrics you need to know. Need digital marketing advice? Drop your particulars below for a FREE 30-minute consultation. Call me. I will tell you what I need. I wish to build an online presence for my brand. I want to increase engagement on social media. I already have a website, Facebook page, Instagram and LinkedIn account. I need quality content! I want to bring in online leads and sales. I want to integrate my offline marketing and PR efforts with digital marketing.